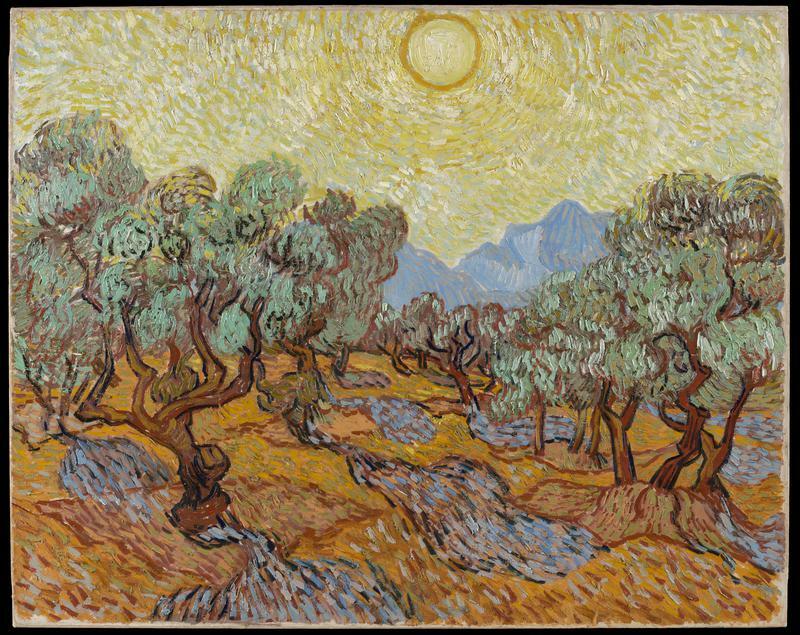 This is one of fifteen canvases of olive trees that van Gogh executed between June and December of 1889. Earlier that year he had interned himself in the asylum of St-Paul, in the town of St-Rémy in southern France, where he would create his most profound works. The vibrant oranges and yellows suggest that the picture dates to the autumn months. Van Gogh left St-Rémy in May 1890, moving to Auvers, near Paris, where he continued to paint until his death by suicide in July. Terrible toll for olive trees?